Rocket Lab would provide all the launching facilities to get customers' satellites into space. It already had commitments for more than 30 launches, he said. Beck, who founded Rocket Lab in 2007, said a team of 25 staff had worked on the project for the past year. The company was looking to add 30 staff to meet demand forecasts. "We're looking to create a billion-dollar space industry down here." Beck, 36, hoped to launch one rocket a week after the company started regular manufacturing of Electron rockets. "If we can launch one rocket a week we are going to change the world." 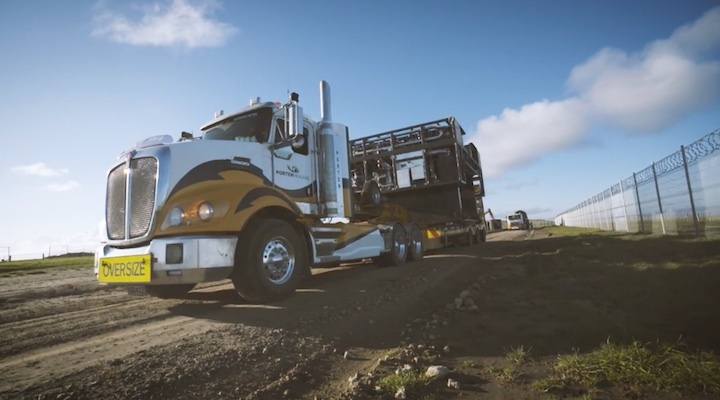 Rocket Lab built Electron using a $25m government grant and funds from The Warehouse founder Sir Stephen Tindall and principal backer Silicon Valley venture capital company Khosla Ventures. A former Nasa director and Florida Space Institute research associate Dr Alan Weston, who was at today's unveiling, said Rocket Lab was a global leader in aerospace technology and Electron was a game changer. "It's revolutionary," Weston said. "This will address the cost of getting spacecraft into space." Electron opened up opportunities for New Zealand to partner with international satellite and technology organisations, he said. "This is not just cheap, it's responsive which means you can launch it when you want to. In the United States it can take over a year." Beck said the rocket has 10 engines, named Rutherford, which burned the same amount of fuel an aircraft used to fly from Auckland to Christchurch. Satellites launched by Electron could remain in orbit for five to seven years and could be used for purposes such as weather prediction, real-time mapping, high-speed internet and climate-change monitoring, Beck said. A patent was pending on the technology for the rocket. The unveiling attracted the interest of foreign media including the Wall Street Journal, Reuters and Wired. Rocket Lab had scheduled a programme of three test flights to get the rocket into space, Beck said. Since 2007 the company had launched about 80 rockets, only one of which went into orbit, he said. That was in 2009 with the launch of Atea-1: a 6m-long, 60kg rocket from Great Mercury Island. Beck said the first rocket would be launched from a yet to be confirmed New Zealand location. "The great thing about New Zealand is it offers us a fantastic launch site which is a major issue for other countries." Rocket launches worked well in New Zealand because it's isolated with a small population and light air and shipping traffic. It also allows the rocket to be launched from a trajectory favourable angle, Beck said. A company founded by a New Zealander is set to reduce the cost of delivering a satellite into orbit with its light-weight rocket. Rocket Lab is building a world-first carbon-composite launch vehicle, named Electron, at its Auckland facility. Electron is 18 metres long, 1m in diameter, will weigh more than 10 tonnes, and will be the first vehicle of its class capable of delivering payloads up to 100kg into low Earth orbits, Rocket Lab says. Rocket Lab says the cost will be less than US$5 million (NZ$5.8m), a drastic cost reduction compared to existing dedicated launch services. "The lead-time for businesses to launch a satellite will also be reduced from years to weeks through vertical integration with Rocket Lab's private launch facility," Rocket Lab says. 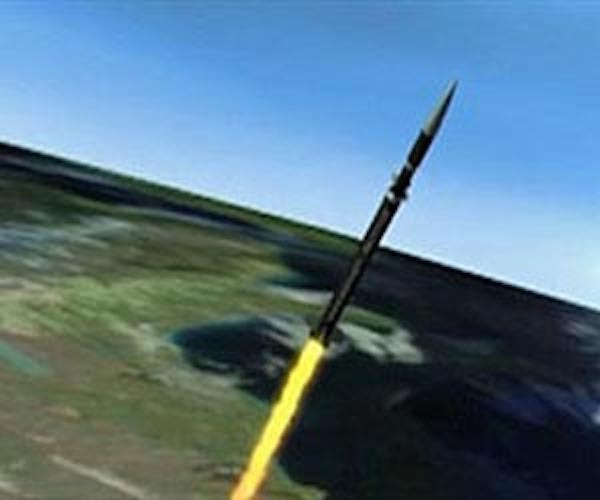 New Zealander Peter Beck, who founded the company in 2007, says "rockets have remained prohibitively large and expensive, despite the trend for satellites to become smaller, more capable and affordable". "Along with benefits for commercial enterprises, cheaper and faster space access has the potential to lead to more accurate weather prediction, global high speed Internet access, as well as real-time monitoring of the impacts of human development," Mr Beck says. Mr Beck says it will bring an innovative and exciting new industry to New Zealand with economic benefits at both a regional and national level. Rocket scientists are in hot demand in New Zealand. Auckland-based Rocket Lab says it has about 35 jobs to fill and founder and chief executive Peter Beck said it had struggled to find staff for some time. "This year is really hard - we're shooting for our first flight at the end of the year and that is directly determined by finding the people to execute it," he said. Rocket Lab is developing an 18 metre tall unmanned rocket to carry satellites into space for a fraction of the cost as those aboard much bigger launch vehicles overseas. It has around 30 staff in Auckland where the rocket is being built and has just opened an office in Los Angeles. Beck said there was a fulltime recruiter on board and word-of-mouth referrals were strong, but given the range of jobs in the start-up, filling vacancies was especially difficult. Rocket Lab not only needed rocket builders but also crew to develop a launch pad that would need to be built. "Building a rocket is like building an aircraft - there's a lot of qualification that goes into all the different parts," he said. The company had hired from around the world and although there were no aerospace degrees taught in this country Kiwi engineers had proved adaptable. Beck would not discuss pay on offer, saying only that Rocket Lab had to pay international rates to attract the right talent. He said the company was close to finalising a launch site for the Electron rocket after appealing for communities with suitable relatively remote sites to come forward. Transporting a satellite aboard the carbon-composite rocket would have an estimated cost of US$5 million ($6.4 million) compared with the average of US$133 million. Rocket Lab has applied for consents with the Canterbury Regional Council to build a launch complex on Bayleys Rd, Kaitorete Spit, near the township of Birdlings Flat. The spit separates Lake Ellesmere and the Pacific Ocean. Parts are classified as conservation areas by the Department of Conservation and are of archaeological and cultural importance, especially to Ngai Tahu. Green Party MP Eugenie Sage was concerned that the consents would be granted without proper assessment of the environmental effects of the facility, and without public notification. The three consents with the regional council were lodged on 15 June and are currently being assessed. One of them is to discharge stormwater onto the land. It also relates to erosion during construction of the launch complex. Another is for a permit to occupy the coastal marine area, and the third is to discharge contaminants into the air when testing fuel burning engines. Christchurch City Council confirmed it was working with Rocket Lab for the purpose of obtaining resource and building consent. An application had not yet been lodged but the council said Rocket Lab had been developing the required ecological, cultural and archaeological reports, and risk mitigation plans, including fire management. The application would be independently reviewed and determined by a planning commissioner, but it was not known when that would happen. The Rocket Lab website includes a video which outlines the company's mission to get satellites into space or, as Rocket Lab puts it: "Opening space up for business". The website said the facility would be able to launch 100 times a year at a cost of $US4.9m, which the company's chief executive Peter Beck said was much cheaper than the average $US130m launch cost. In the video, Mr Beck lists some of the things made possible by satellite launching, including better weather predictions, crop monitoring, live streaming anywhere and even natural disaster warnings. It was understood that the Prime Minister would attend tomorrow's launch but a spokesperson for John Key was unable to confirm this on Tuesday. Auckland-based Rocket Lab has signed a deal with a US company to send three rockets to the moon. A contract has been signed with Moon Express - a San Francisco company 'focused on building a sustainable, full service space exploration business'. Moon Express is chasing the Google Lunar XPRIZE - a competition to land a privately funded spacecraft o the moon, travel 500 metres and transmit high-def video and images back to earth. The company was given a $1 million grant by Google earlier this year as "the only team to flight test a prototype of its lander". Rocket Lab will charge between US$50,000 and US$90,000 for a single satellite of the smallest size. Prices for the larger 3u (unit) size satellite range between US$180,000 and US$250,000. Rocket Lab's financial backers include Silicon Valley venture capitalists, Sir Stephen Tindall's K1W1 investment fund and Lockheed Martin. The company has received up to $25 million of government funding over five years. Today's announcement from Moon Express co-Founder and chairman Naveen Jain said the company was building disruptive technologies "that will forever change the cost of access to space, including the asteroids and even the moons of Mars.
" We are now taking advantage of exponential technology like 3D printing and inexpensive sensors to collapse the capital needed to access the Moon. Coupling these technological advancements with today's news about the Rocket Lab launch contract is a huge step forward for us in opening whole new markets for space exploration." Under the launch services contract, Rocket Lab will use its Electron rocket system to launch three missions of Moon Express' MX-1 lunar lander spacecraft. Two launches of MX-1 have been manifested with Rocket Lab for 2017, with the third to be scheduled at a later date. Moon Express has the option of launching from Rocket Lab's private launch range here in New Zealand or from the US . "Rocket Lab is pleased to begin working with Moon Express to launch its spacecraft and to provide support to such an ambitious mission. Moon Express has used advanced orbital mechanics to enable this mission from low-Earth orbit," said Peter Beck in a statement. "The new contract with Moon Express shows the broad market demand for Rocket Lab's affordable, high-frequency Electron launch vehicle." 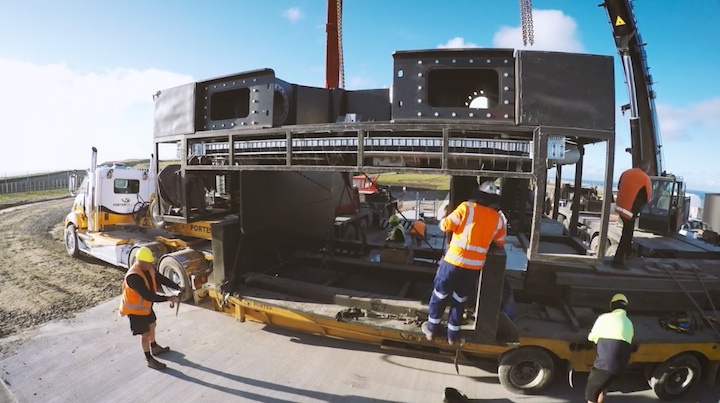 Rocket Lab, the venture capital-backed space start up, is constructing the first private launch range in the world. The company told TechCrunch that they have secured Spire as their next customer for a launch later this year. With companies like SpaceX, United Launch Alliance, and Arianespace dominating the launch market, it’s hard to believe that there’s room for a new launch provider. But satellite technology has gotten smaller and cheaper over the years, lowering the barrier to entry into the space industry. More companies have been able to affordably design and build their own small satellites, or satellite constellations, and are looking for launches to get their products into orbit. The increased number of small satellite owners brings a more diverse set of needs when it comes to launches. Unfortunately for small satellite owners, they usually have to “piggy back” onto heavy-lift rockets whose primary mission is to bring a larger, more expensive satellite to a specific orbit. When forced to rideshare, it can be difficult for small satellite companies to easily get where they need to go. Rocket Lab has created the Electron rocket, designed to bring small satellites to Low Earth Orbit (LEO), to fill this need. Rocket Lab is based in Los Angeles, but is building their launch pad and production facilities in New Zealand. Their other customers include NASA and even Moon Express, which purchased 3 launches to the moon in an effort to win the Google Lunar X Prize competition. Moon Express’ launches are schedule to begin in 2017. Rocket Lab’s latest customer, Spire, plans to launch a constellation of 100 satellites designed to provide solutions for maritime intelligence and weather monitoring systems. For the maritime market, Spire’s satellites would assist with maritime law enforcement by providing near-real time signal intelligence anywhere on Earth. Peter Platzer, CEO of Spire, told TechCrunch that their satellite constellation would be able to identify a stolen vessel with beacon tracking from orbit. Once pirates enter a tanker, they turn off its automatic beacon and drive the tanker away to steal the goods on board. With their satellite constellation in place, Spire could detect a missing beacon signal within minutes and then identify that location and track the ship as it drives away. Platzer told TechCrunch that they opted to fly with Rocket Lab because they were able to fit their launch needs more precisely than alternative launch providers. Rocket Lab is certainly an attractive option to small satellite companies who want rides to specific orbits that would be difficult to obtain through traditional, more established launch providers. However, the company has yet to prove the most coveted capability in the launch industry: launch reliability. The company’s success will hinge on their ability to keep their prices competitive while consistently launching failure-free missions. Rocket Lab hopes to launch their Electron rocket for $4.9 million per flight with, eventually, one launch per week. It’s an entirely different business model than someone like SpaceX whose Falcon 9 is estimated at $60 million per launch and completed 6 successful launches in 2015. In order to achieve this price and launch frequency, Rocket Lab has focused on creating and manufacturing their entire rocket in-house and building their own launch facility. They’ve even designed and developed their own 3D printed electrically-pumped engine which they’ve been testing for several years. The price of a rocket, however, becomes a moot point if a small satellite company can’t be confident that their product will launch successfully. These next few years will be important for Rocket Lab to prove that their price and launch frequency are obtainable feats. The New Zealand launch pad is scheduled to be completed by the end of the first quarter in 2016. 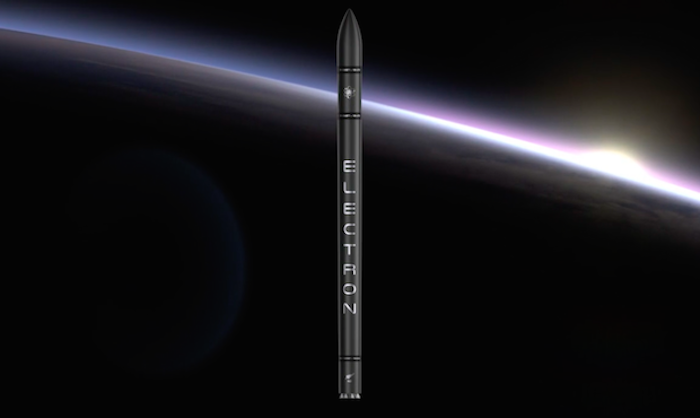 Once complete, Rocket Lab will begin test flights of Electron in preparation for their first commercial missions. New Zealand has an opportunity to leverage off the existence of a leading-edge rocket launcher - Rocket Lab - which plans to provide frequent, low cost launch services to a growing international small satellite industry. The Government is putting in place a new regulatory regime to enable safe, secure and responsible space launches from New Zealand, Economic Development Minister Steven Joyce says. "New Zealand is rapidly building a more diversified hi-tech economy, and one of the companies at the very leading edge of technology is our own home-grown start-up, Rocket Lab," Mr Joyce says. "The company and its parent company, Rocket Lab USA, are almost ready to start launching rockets commercially, and we need to introduce a regulatory framework so they and others that come after them can operate from New Zealand." The regulatory regime consists of a new Outer Space and High Altitude Activities Bill, a Technology Safeguards Agreement between New Zealand and the USA, and a decision to join the United Nations Convention on Registration of Objects launched into Outer Space. It is also New Zealand's intention to join the UN Committee for the Peaceful Uses of Outer Space. Information about all four decisions is being released. The Outer Space and High Altitude Activities Bill is in the form of an exposure draft pending finalisation by officials before its introduction to parliament. It will be fully consulted on through the Select Committee process in the second half of this year. "The space economy is becoming immensely important to the world and is growing and changing rapidly," Mr Joyce says. "Satellites enable critical services and infrastructure like banking, transport, telecommunications, navigation, remote sensing and national security. As a result there is an increasing demand for small satellite launches. 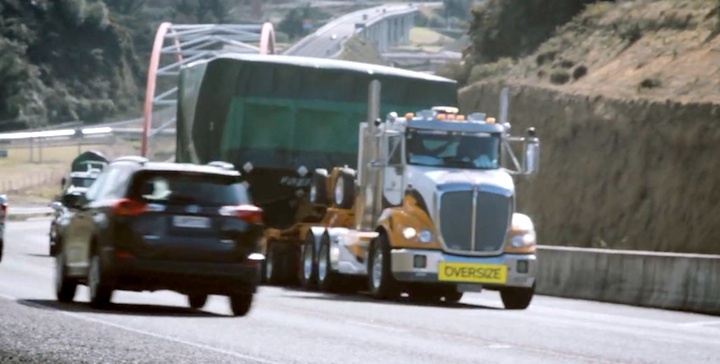 "New Zealand has the advantage of a geographic location that enables a wide range of orbits with minimal interference to air traffic and shipping. We also have a highly skilled workforce and a safe secure environment." Mr Joyce says New Zealand has an opportunity to leverage off the existence of a leading-edge rocket launcher - Rocket Lab - which plans to provide frequent, low cost launch services to a growing international small satellite industry. "Rocket Lab is using innovative and disruptive technology developed right here in New Zealand and employing highly skilled people in New Zealand," Mr Joyce says. "Rocket Lab's Peter Beck is in the mold of other great Kiwi innovators like William Hamilton, Bill Gallagher and Ernest Rutherford." Other groups working in the satellite industry include two potential Regional Research Institutes that have been shortlisted to develop business cases with the Ministry of Business, Innovation and Employment - The Centre for Space Science Technology, and Earth+Vantage. NASA and Google have launched high altitude balloons from New Zealand. "These organisations show there is the opportunity to build New Zealand's capacity and expertise across a broad spectrum of space and high altitude activities, from rocket technology to the use of satellites to perform functions that benefit our economy, environment and society; as well as attracting off-shore talent and investment into New Zealand," Mr Joyce says. "There are also significant economic spinoffs for the East Coast region from the space industry activity. 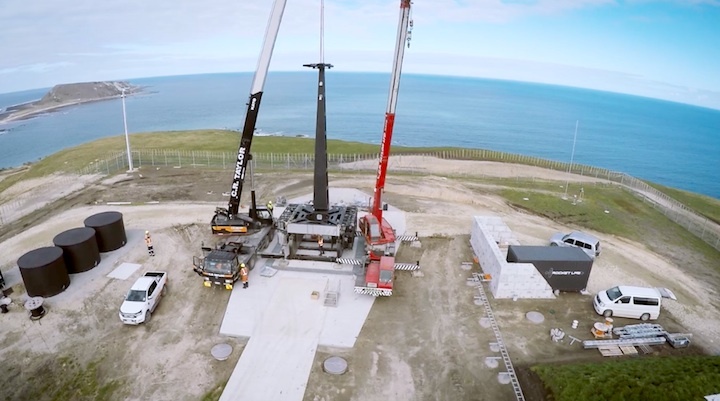 Rocket Lab's launches from Mahia Peninsula has introduced new investment into the Wairoa District, and they are likely to attract tourists from within and outside New Zealand to observe rocket launches. "Providing a modern regulatory environment that responds to innovation and enables high-tech industries is a crucial part of building a diversified high value economy." The emerging New Zealand-based space economy aligns with the innovation stream of our Business Growth Agenda in developing New Zealand as a hub for high-value, R and D-intensive businesses." Airways New Zealand has signed a contract with commercial rocket launch provider, Rocket Lab, to provide air traffic services for test and commercial rocket flights through the country's airspace. In a statement, Airways said they had been in talks with Rocket Lab for the past 18 months. The completion of a Rocket Lab space port comes as groups of students compete to use it for a satellite launch. Rocket Lab operates a private satellite launch site on the Mahia Peninsula between Napier and Gisborne. The company plans around 100 launches a year through its Electron rocket. Airways chief operating officer Pauline Lamb said "a special use airspace will be created around the Electron rocket as it launches through New Zealand airspace. Our air traffic controllers will protect this airspace from other aircraft using separation procedures and will do all they can to minimise the impact the launch operations may have on other airspace users." Rocket Lab is backed by Silicon Valley investor Khosla Ventures, Stephen Tindall's K1W1 fund, Silicon Valley venture capitalist Bessemer Venture Partners, and global defence group Lockheed Martin. In July last year, it signed a contract with the United States' National Aeronautics and Space Administration letting it use NASA's resources. The Government has given Rocket Lab the all clear to start commercial space launches. Economic Development Minister Steven Joyce says they'll start later this year. He's signed a contract with the ground-breaking company that allows it go ahead before legislation is passed by parliament. 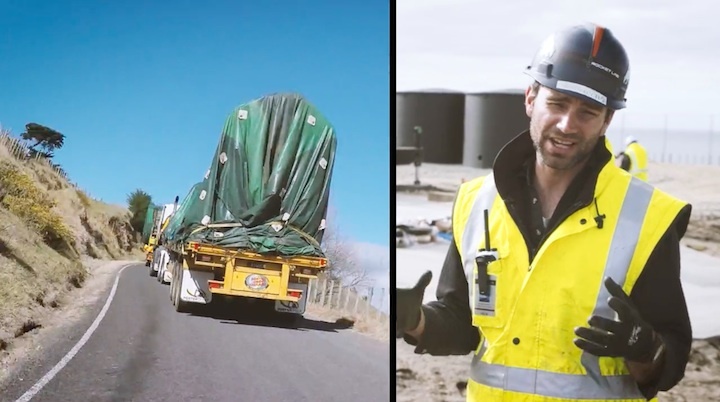 Rocket Lab, founded by New Zealander Peter Beck, will start launch operations from Mahia Peninsula. "This contract is an important milestone in the work the Government is doing to support the development of a New Zealand-based space industry," Mr Joyce said today. "Rocket Lab is capitalising on some of New Zealand's advantages such as an attractive location for space launches - we have clear skies, access to good launch angles, a skilled workforce and an innovation-friendly business environment." Mr Joyce will introduce a bill to parliament later this month that will set out permanent regulations covering rocket launches. He expects to have it in law by mid-2017. Contract ‘a milestone’ in NZ-based space industry. 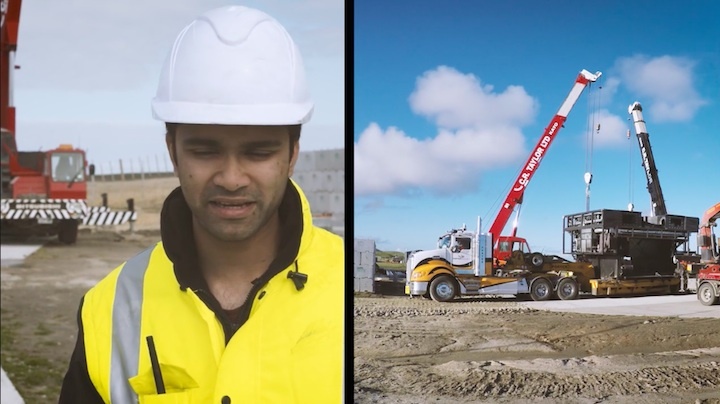 COMMERCIAL rocket launches at Mahia are another step closer after the Government gave aerospace company Rocket Lab temporary permission to launch. Economic Development Minister Steven Joyce yesterday signed a contract authorising Rocket Lab’s space activities from New Zealand, paving the way for the company to launch rockets from its newly-completed launch site at Onenui Station. “This contract is an important milestone in the work the Government is doing to support the development of a New Zealand-based space industry,” Mr Joyce says. Mr Joyce said the contract was an interim measure to allow Rocket Lab to start launching rockets before a bill establishing a regulatory regime came into force. The Outer Space and High Altitude Activities Bill is expected to be introduced into Parliament later this month and the Government would seek to have it passed into law by mid-2017. The TSA is a bilateral treaty between the New Zealand and United States governments to enable the use and secure management of US rocket and satellite technology in New Zealand. It allows commercial entities, including Rocket Lab, to import launch technology and satellites from the US. In terms of its broader international obligations, New Zealand is committed to the peaceful and responsible use of space. “Rocket Lab is yet another example of our fast-growing and increasingly diverse hi-tech sector,” said Mr Joyce. The contract provides the mechanism by which to authorise Rocket Lab’s space activities to be conducted from New Zealand; to manage the Government’s liability under the United Nations Liability Convention; and to implement New Zealand’s obligations under the TSA, enabling it to enter into force. Before launching, Rocket Lab would need to get a licence from the US Federal Aviation Administration (FAA) so it could conduct its space launch activities in New Zealand. Rocket Lab chief executive Peter Beck said the contract and upcoming TSA Bill were regulatory necessities. “The Government’s commitment to seeing New Zealand join the global space arena is exciting news for our country. “The ‘space economy’ generates over $330 billion dollars annually and presents a considerable opportunity for New Zealand. First ever private spaceport opens for New Zealand “space bus"
The world’s first private spaceport has been completed in New Zealand for Rocket Labs, a private company offering a budget satellite delivery service. Facilities at the complex include a hangar where the vehicle will be prepared for launch as well as a 50 tonne launch pad, which tilts to lift the rocket to a vertical position prior to launch. The company also built a 3.5km road to reach its chosen site. The site was chosen for its remoteness, which will minimise disruption from air and marine traffic. The rocket itself relies on standard modular parts to reduce weight and enhance reliability. For example, the vehicle’s avionics system weighs 8.6kg, compared with the 4,500kg of NASA’s first Space Shuttle. The Electron is conceived as a kind of space bus, able to park a small satellite in orbit for as little as $50,000. The first launch is scheduled to take place before the end of the year, and a further nine are planned for next year. All of these launches have been fully booked. Satellites launched from the complex will be used to provide services including crop monitoring, meteorological reporting, communications and location services. Rocket Labs was founded by New Zealand rocket scientist Peter Beck in 2007. It is funded by Khosla Ventures, a US venture capitalist run by Indian billionaire Vinod Khosla, which specialises in early-stage high-technology projects. A video-frams showing the construction of the space station can be seen here. 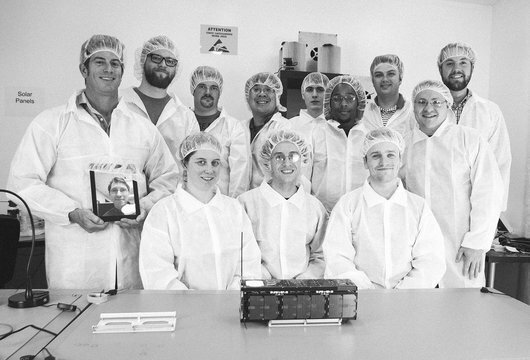 Image: Rocket Labs’ staff pose with their Electron rocket. Illustrations courtesy of Rocket Labs.